Beautifully shaped eyebrows with a nice arch are an important part of a polished look. 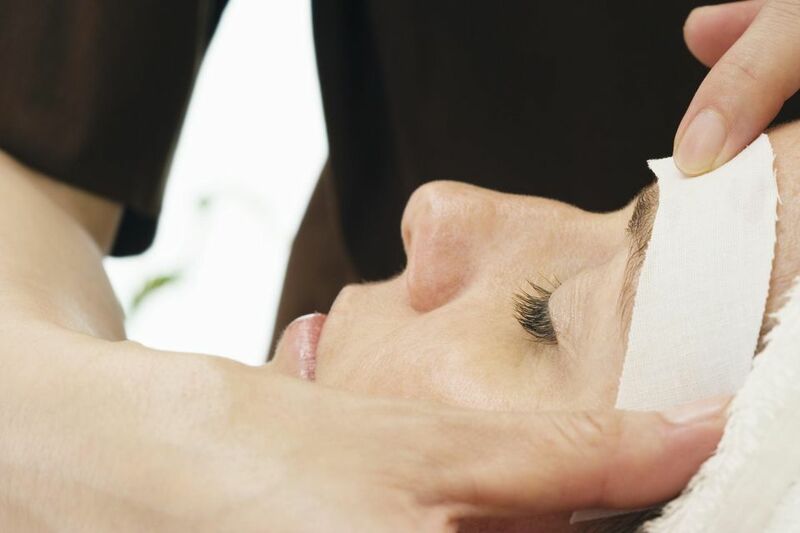 Few people know this better than Eliza Petrescu, a New York City-based eyebrow designer who is famous for her celebrity clientele and long waiting list at Eliza's Eyes, the brow sculpting salon on 30 East 76th Street near Madison Avenue in New York City. When done well, eyebrow shaping calls attention to your eyes, frames them, and makes them appear more open. But it's easy to make mistakes when you shape your eyebrows yourself. The most common mistake is over-tweezing into a thin, high, rounded eyebrow that gives your face a permanently surprised look. Another common mistake of do-it-yourselfers is creating an unflattering fish-hook shape where the thickest part of the brow gets much thinner abruptly. For people with thin, blonde eyebrows, it's easy to take too much off the sides so the brow seems to disappear. But beware getting free eyebrow shapings at makeup counters—they aren't worth it. Don't shape your eyebrows yourself. It's too easy to ruin your whole look with a badly shaped brow. If you can't afford a monthly visit to an eyebrow specialist, don't do anything besides cleaning up the strays that are well below your eyebrow. "You're better off with what God gave you," says Eliza. Don't have your brows tweezed for free at make-up counters. The people there are make-up artists, not brow experts. They tend to make the same mistakes that people do at home. Don't get your brows waxed at a resort spa or with anyone whose work you haven't seen. You don't know how often they do it, and could end up with a disaster—badly shaped or overwaxed brows that don't grow back easily. Find an eyebrow designer who specializes in eyebrows. A good eyebrow designer will create a brow shape that is right for your face shape and the kind of eyebrow you have to work with: light, medium or full. You can also ask someone whose brows you admire who shapes their brows. Build a monthly visit to the eyebrow designer into your beauty budget, just like haircuts, color, and manicures and pedicures. It will cost anywhere from $30 for smaller cities to $128 for a well-known eyebrow designer like Eliza. To find the best eyebrow designer in your area, start looking at other people's eyebrows. If you see someone with beautiful eyebrows, ask them who did it! Don't get your eyebrows waxed if you're using a product like Accutane or Retin-A. It can take off the outer layer of skin. Check out products that can help thin brows look fuller. Eliza has a brow definer to outline the shape, a brow filler to fill in bare spots, and a brow shaper that looks like clear mascara and holds the full, defined brow in place.